Ikea is planning to build a housing estate in East London. It will come flat-packed, yes? Arrests made at Leyton Marsh Occupy camp. 'Bullied' companies near the Olympic Park are to sue LOCOG. London's teachers look set to strike. Heathrow is now up to 70 million passengers a year. Is lots, no? Enquiry launched after a teenage girl plunges to her death whilst apparently fleeing police in Woolwich. Greenwich's new swimming pool comes in for criticism. London's top sights in 1824. Nazis and ghosts on Whitehall...a remarkable historical story. Finally: here's a pretty picture of Londonist Towers from outer space. 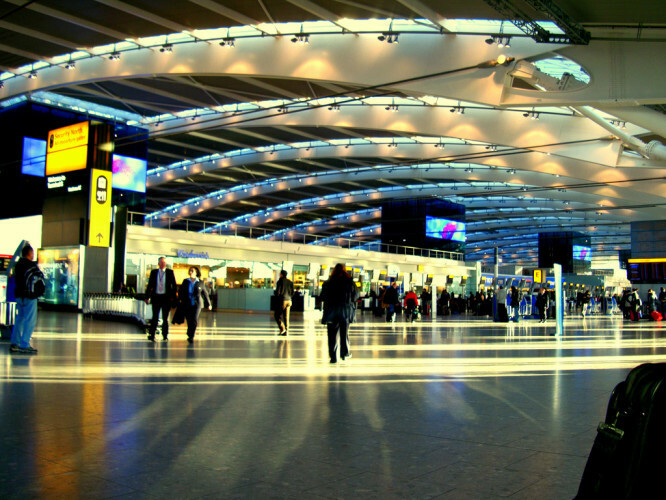 Heathrow, by Mitual Vagama via the Londonist Flickr pool.